It’s a rough life for the Lynchburg Living team who took part in the photo shoot for this issue’s Taste feature, pictured above. After the photos were finished, they got to enjoy the holidays a little sooner than usual by sharing all of the dishes. Flip to page 125 for the recipes! One of Lynchburg’s newest downtown restaurants got some attention on Instagram. 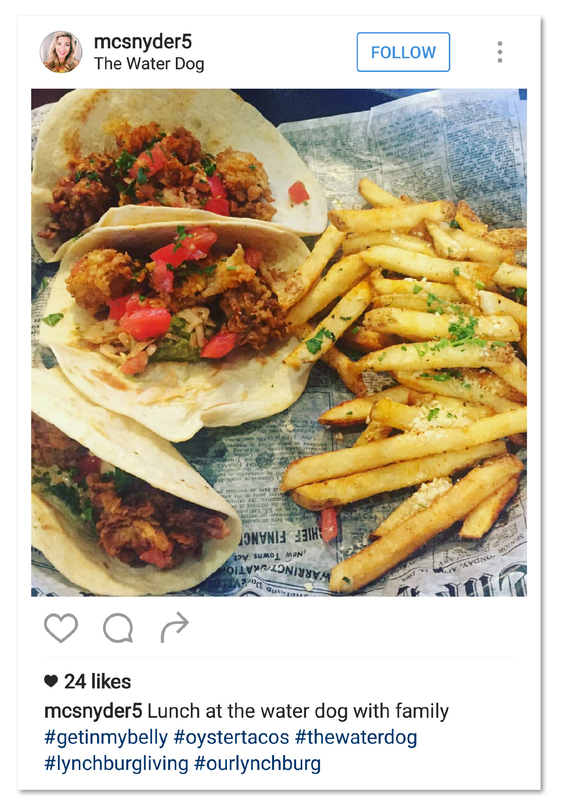 Michelle Snyder snapped this photo of her oyster tacos at The Water Dog. Read more about the restaurant (and three others that are opening up) on page 51! Be sure to include the hashtag #lynchburgliving on your posts and your photo may be featured!